Heslops automotive has been in business for over 10 years and with over 70 years combined experience between our mechanics we have your vehicle covered. We are also part of the Bosch Car Service Network which is the largest network of independent workshops in the world. Bosch is the worlds leading supplier of components to the automotive industry, so this gives our staff access to training on modern vehicle systems and sophisticated diagnostic equipment. 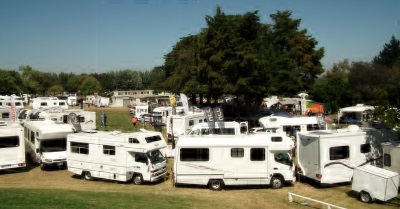 At Heslops we cater for all makes and models of Cars, Light Commercial Vehicles, 4 x 4 Vehicles, Campervans and Caravans. We have a fuel system cleaning machine for petrol / diesel engines which will clean out the engine and complete fuel system. This can save you a lot of money by not having to replace/ repair fuel pump injectors. Barry & Mike of Car & Vans recommend Heslops Automotive as the go to men to get the job done right first time. "We use Gary and the team at Heslops for their extensive knowledge when it comes to working on our European Campervans & cars etc. We know we can trust them to get the job done".